The Nashville outdoor holiday lighting forecast calls for snowfall lighting this season. When it comes to holiday magic there is nothing like the beauty of a fresh batch of fallen snow. The way the light dances from it and the way it intrigues all your senses is unforgettable. 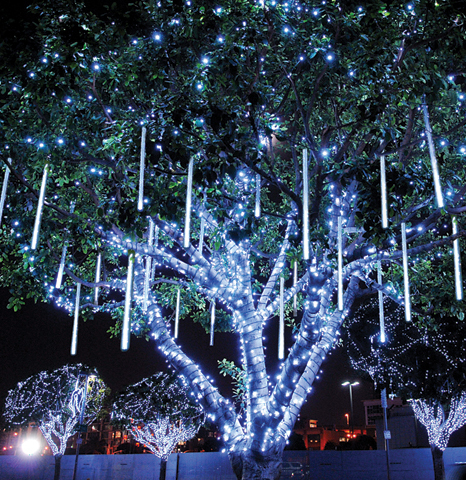 Can you imagine a way to capture that same magic in your holiday lighting display? We have found a way to do just that and make it even better by adding the element of movement with our new snowfall lighting. Snowfall lighting uses cool LED lights that mimic the look of snow gently falling against the night sky. This technology utilizes the super-efficient LED lights and automatically illuminates at random to create a stunning effect. Snowfall lighting is also referred to as “meteor lighting”. The result of snowfall holiday lighting is truly unforgettable. The most dramatic benefit from snowfall lighting results from lighting single choice trees, or groupings of trees within your landscape. We can install these singularly, or as part of an entire professional outdoor lighting display. The effect looks great on trees close to your home, or those used in borders or on a treeline along your driveway. Driving up a driveway lined with trees lit with snowfall lighting is like entering a winter wonderland. 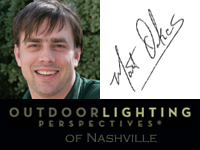 Outdoor Lighting Perspectives of Nashville specializes in unique and one-of-a-kind outdoor holiday lighting designs for residential and commercial use. We offer a wide array of classic and timeless designs, as well as the unusual. All our holiday lighting is available in LED genres which involves minimal operating costs and is a more sustainable lighting source than traditional holiday lighting. 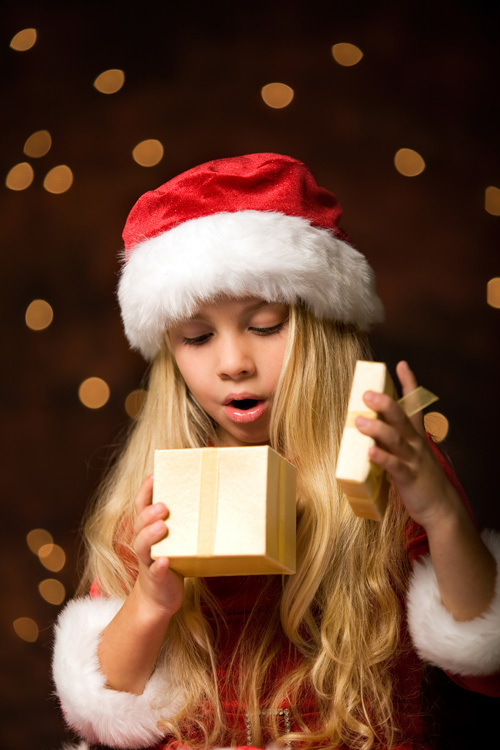 Our holiday lighting program is the area’s premier lighting program because we are full service. We design, install, remove and store your lighting display for you which allows for more room for creativity in choosing the elements for your annual Christmas display. We cannot promise snow this Christmas, but we can promise the next best thing; snowfall lighting for your holiday display that is sure to take your breath away. 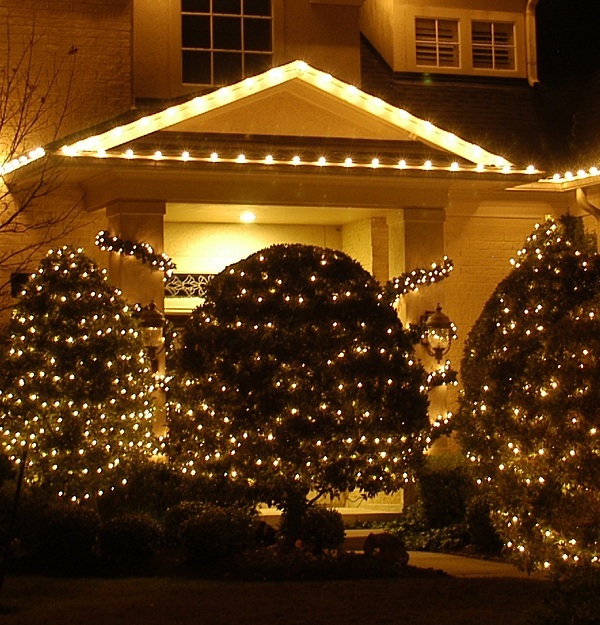 Contact Outdoor Lighting Perspectives of Nashville to learn more about snowfall outdoor holiday lighting and our other exclusive holiday lighting designs. Let it snow, let it snow, let it snow! 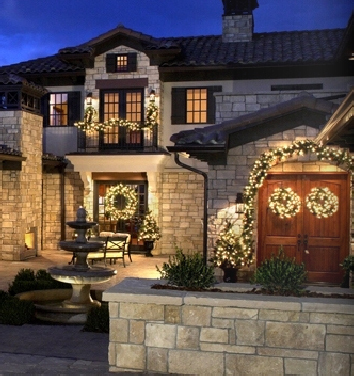 You can see more examples of holiday outdoor lighting that will inspire and overjoy you by visiting our holiday lighting gallery located on our website.